In our busy, mobile world, field and contract workforce are often spread out. Rely on employee GPS tracking and lay all your worries to rest. Designed to help organizations optimize their mobile workforce and improve their field operations, Trackimo is the perfect tool for business progress. Help manage projects by collaborating with the remote workforce better. By dispatching teams to the closest work site and avoiding unnecessary routes, and unknown down times, more work can be done per day. Determine whether or not an employee showed up for a job, and for how long he/she stayed. This can serve as proof for when customers try to tell you otherwise. By minimizing operating costs and maximizing profits, you can be sure that everyone from the bottom up can be taken care of with proper monetary benefits. Tracking speed and dangerous driving behaviors can save your company a lot of money. Eliminating this kind of danger makes a safer, more secure environment not only for the team, but for the customers as well. In case of vehicle theft during or outside office hours, there will always be a way to track your mobile assets, sometimes even as it happens. Want to know at a quick glance who’s at work across your job sites? Trackimo provides a map view showing everyone who has clocked in throughout your team, and where. Generate on-demand reports from map view. All reports can be easily exported in common formats. GPS feature pinpoints workers’ locations using Trackimo’s GPS capabilities. Set up a Geofence for each job site and view 100% accurate maps and reports showing where your people were—and if they were not on site. It’s like having a virtual foreman at your work sites. Trackimo™ delivers up to 96 hours of battery life. 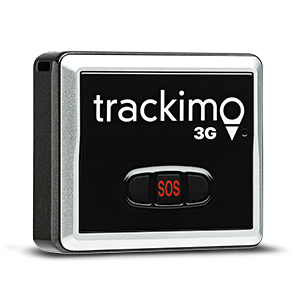 Trackimo™ GPS tracking devices can be tracked via web or smartphone app where GSM cellular reception exists worldwide.